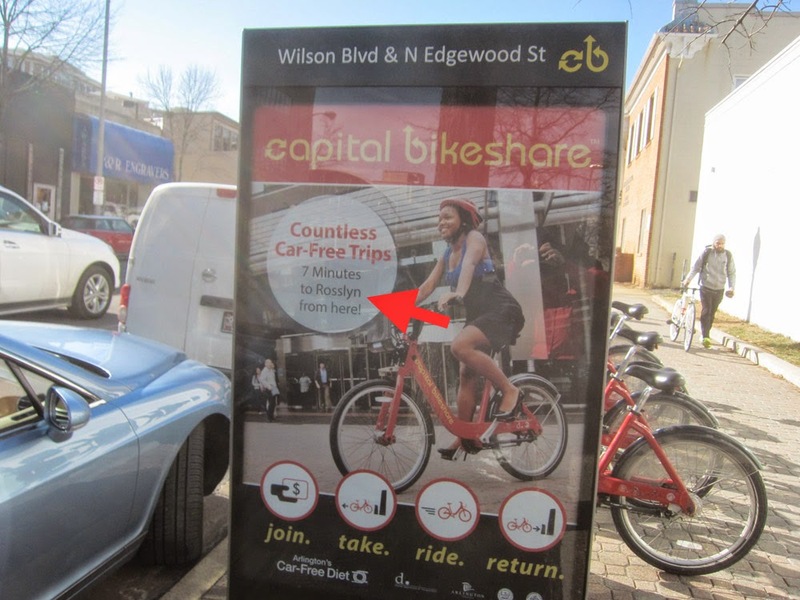 A Capital Bikeshare sign about a mile west of the center of Rosslyn provides key information to potential bikeshare users. The sign declares: "7 minutes to Rosslyn from here." That's much faster than walking to Rosslyn. The faster folks can get to Rosslyn, the happier they are. The Virginia Department of Transportation (VDOT) should follow Capital Bikeshare's lead in providing useful and needed traveler information.